I'm a tinkerer. From homemade audio isolation and room-treatment products to a local area network (LAN) connecting my Macintosh laptops, I'm always building or modifying something. One of my latest projects is a combination of parts swaps and custom-machined bits to better adapt the ergonomics of my exotic Italian Bimota motorcycle to my distinctly un-Italian 6'3" frame. But regardless of what I'm into, I can't resist the urge to tinker. What do you want from a 21st-century record-playing device? I hear you: you want one that's compact, well-made, easy to set up, holds its setup, sounds great, and doesn't cost a lot. I literally dropped everything when Rega's new Planar 25 turntable arrived a few weeks ago. 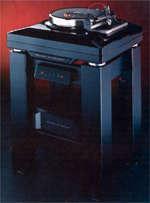 I'd heard the 'table compared with the Planar 3 at designer Roy Gandy's house when I visited Rega last fall—see "Analog Corner" in the January '99 Stereophile—and was anxious to audition it in my own system and tell you what I heard. 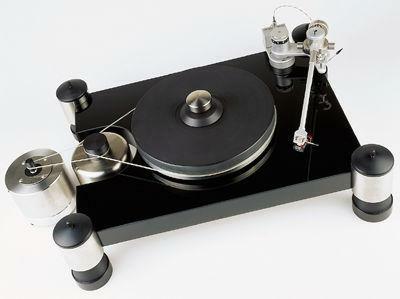 There is something vaguely disturbing about the idea of an $8000 turntable and arm combination. That's more money than a lot of audiophiles have invested in records through the years. Total overkill! Or so it might seem. But the entire history of analog disc reproduction, from the first LP to the present, has been one of seemingly open-ended discoveries—of subtleties nobody ever imagined were frozen in those tiny grooves, of levels of quality no one ever guessed the medium was capable of. Yes, newer LPs are a lot better than the first ones, but that is only to be expected in any technologically advancing field. What is amazing about the LP is that, 40 years after its introduction, we are still finding out that all of them, from the first to the latest, are better than anyone could have imagined. An improved phono unit doesn't just make the latest release from Wilson Audio or Reference Recordings sound better, it does the same for every LP you own!